Page of "FX-Unit Yuki : The Henshin Engine/Turbografx game features update!". 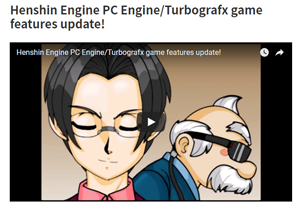 FX-Unit Yuki : The Henshin Engine/Turbografx game features update! « Interview with Retro Side-Scroller FX-Unit Yuki : The Henshin Engine’s Creator, Sarumaru! Check it out! I wanted to let you know that I am looking forward to the games release. I love my Turbo Duo and adding a game to my library is always a plus. Will you be attending the Retro Expo in Hartford CT this coming October? I would love to see you there. It’s one of the largest Retro game shows in the Northeast.